Designing a product so that it can’t cause harm – even if it is mis-used – is hard to do. And when kids are in the mix, the matrix of possible mis-uses is overwhelming. Kids can make any product designer look like an idiot. Designing a product so that it can’t cause harm – even if it is mis-used – is even harder. But even the best design can cause problems when a kid grabs it – then licks it, immerses it in the sink, turns it upside down, throws it, hammers it, and sticks it in any suitable slot, crevice, or electrical outlet. When kids are in the mix, the matrix of possible mis-uses is overwhelming. A few years ago I was invited to participate in a design project for the BIC Corporation. BIC is a global manufacturer of high-quality, affordable consumer products. This project involved a possible design change to one of their products, the BIC disposable lighter. This small, inexpensive device provides users a simple means to make fire on demand, at – the flick of a BIC. It does this safely, reliably, and cost effectively – exactly as it was designed – for millions and millions of people around the world. It is a design and engineering masterpiece included in the permanent collection of the New York Museum of Modern Art. But a flammable product involves risk. Not only can a BIC lighter make fire on demand, it is also a pressure vessel filled with a highly flammable liquid: the same formula as a bomb. Most adults understand that fire will burn them and this tool should be used responsibly, but kids can be less than clear about where risk lies. BIC had encountered an issue with 4-6 year old boys, for whom the lighter was a toy – not because it made fire, but because it made pretty sparks. Run the lighter’s wheel at the right angle on the carpet, or on the edge of the sofa, or on the side of the bed and you had a fantastic race car that made just the right vroom sound (wheel friction against the flint) and sparks shot out. But get the angle of the wheel wrong, then add household fabrics (carpet, sofa, bed), a few sparks, and a little bit of butane gas and you had disaster involving a young child. 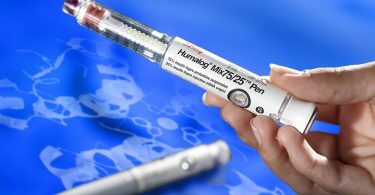 BIC had been named as a defendant in a number of wrongful death lawsuits and they were seeking a way to make their product safer. 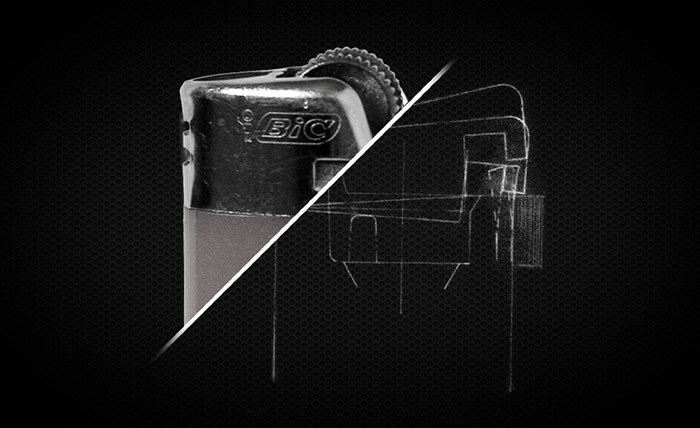 To do so, BIC commissioned a number of different teams to explore options on changing the design of their lighter to make it “child resistant.” It seems like a pretty straightforward design task, but implementing a design change in a product like this is not cheap. BIC has produced over 20 billion lighters in the last 35 years. Worldwide, they produce over 5 million lighters every day. The main body of the BIC lighter is molded from acetal resin, and it weighs approximately 20 grams. If we assume the molding cycle for this body is 10 seconds, and we assume the factories are all running 24 hours a day, it would require at least 10 molds – with 64 cavities in each mold – to manufacture this many lighters. Making a design change to the body of the lighter would require changing every cavity of every mold. It would also require making changes to all the parts that interface with the body (the release lever, the valve, maybe even the spark wheel), to all of the tools that make these parts, and to all of the equipment used in the manufacture and assembly of these parts. 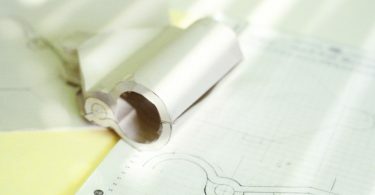 I had a lengthy discussion with the BIC design team about performance requirements, scenarios for use and mis-use, tooling and manufacturing requirements. I came home, and spent weeks exploring options. I came up with a design solution that I thought was perfect. My design featured a mechanism that was simple, elegant, and nailed all the specifications. It involved the addition of one single part and the modification of two others. I had a fully-functioning prototype made, then assembled a presentation demonstrating the effectiveness of the design change, the costs to implement it, and the schedule involved. The managers at BIC thanked me for my work. Sometime later I learned that my exact design had not been implemented. I also learned that a similar design had been implemented, but it cost a few pennies more than the existing design, and it was not selling well. Even though the product was now safer, people weren’t willing to pay a higher price for it. It was a sobering lesson in human behavior, and in the cost constraints of the consumer market. Decades later, the BIC lighter remains in production. The design has gradually evolved. The valve to allow for an adjustable flame has been replaced. A protector strip has been added above the spark wheel. A number of international safety standards (including ISO 9994) have been enacted to ensure safe use, and prevent reasonably foreseeable mis-use. It is a still a design and engineering masterpiece. And even though my exact design was not used, I am proud to say that I contributed. Years ago, when I became a registered professional engineer, I took an oath that I would uphold the safety, health, and welfare of the public in all of my professional activities. I keep a framed copy of my registration certificate in my office to remind myself of that oath. And right beside it, I keep a copy of my original design sketch for this mechanism, to remind me of the real-world challenges we often face in design and engineering. Be careful when playing with fire.